Moto X4 has been launched in India. 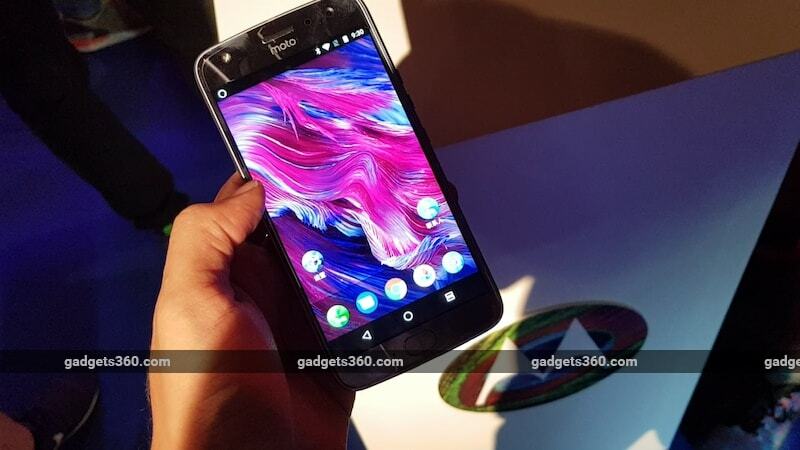 The latest Moto X-Series smartphone from Lenovo brand Moto will be exclusively available on Flipkart in India. Apart from its dual rear camera setup and front flash module, the smartphone is also IP68-rated for dust and water resistance. The Moto X4 also comes with Amazon Alexa support, however, this feature won’t be accessible until Amazon releases the Moto Alexa app, the company revealed to Gadgets 360. Lenovo is also claiming the Moto X4 is the first smartphone running on the new Snapdragon 630 SoC to be launched in India. The Moto X4 has been launched in two variants in India – 3GB RAM/ 32GB storage and 4GB RAM/ 64GB storage – and both feature dual-SIM support. To recall, the smartphone was first unveiled in its single-SIM variant at IFA 2017. Read on for more details on the Moto X4 price in India, specifications, and other features. Moto X4 price in India starts at Rs. 20,999 for the 3GB RAM/ 32GB storage variant, while the 4GB RAM/ 64GB storage variant is priced at Rs. 22,999. It will be available in Super Black and Sterling Blue colour variants, exclusively from Flipkart and Moto Hub shops. The Moto X4 goes on sale at 11:59pm on Monday, November 13. As for launch offers, the Moto X4 will be available on Flipkart with additional Rs. 2,500 discount on exchange of your old smartphone (Rs. 3,000 if exchanging select Moto smartphones), up to 10 percent off with HDFC Bank credit and debit cards, a Buyback Guarantee of 50 percent of the smartphone’s value, and EMI schemes. The dual-SIM (Nano) Moto X4 runs on Android 7.1.1 Nougat. It sports a 5.2-inch full-HD (1080×1920 pixels) LTPS IPS display with a pixel density of 424ppi and Corning Gorilla Glass protection. It is powered by an octa-core Snapdragon 630 SoC clocked at up to 2.2GHz, coupled with up to 4GB of RAM. As for the dual rear camera setup on the Moto X4, Lenovo has chosen a 12-megapixel primary camera with a Dual Autofocus Pixel sensor, an f/2.0 aperture, and 1.4-micron pixels. The setup also consists of a 8-megapixel ultra-wide angle sensor with a 120-degree field of view, an f/2.2 aperture, and 1.12-micron pixels. The dual rear camera setup is accompanied by a colour correlated temperature (CCT) dual-LED flash and supports phase detection autofocus (PDAF). Overall, the setup helps provide such photography modes as ultra-wide angle shots, selective focus, as well as depth detection and depth effects like Bokeh. The Moto X4’s front camera features 16-megapixel sensor with 1-micron pixels and an f/2.0 aperture, which the company says will help in low-light photography. Of course, the selfie flash also helps. Apart from a 4-megapixel adaptive low light mode, there is also a beautification mode. As we mentioned, the Moto X4 is available in two inbuilt storage variants – 32GB or 64GB – both of which are expandable via microSD card (up to 2TB). Connectivity options include 4G VoLTE, Bluetooth v5.0, dual-band (2.4GHz and 5GHz) Wi-Fi 802.11 a/b/g/n/ac, GPS/ A-GPS, USB Type-C, NFC, FM radio, and a 3.5mm headphone jack. Sensors on board include accelerometer, ambient light sensor, digital compass, gyroscope, and a proximity sensor. The Moto X4 measures 148.35×73.4×7.99mm (9.45mm at camera bump) and weighs 163 grams. It is powered by a 3000mAh non-removable ‘all-day’ battery, which when coupled with a 15W TurboPower charger (bundled in the box) will provide up to 6 hours of power in 15 minutes of charge. We’ve mentioned some of the biggest features of the Moto X4, such as its IP68-rating for dust and water resistance. Its Bluetooth v5.0 connectivity has also been leveraged to allow the smartphone to sync with up to four speakers, headphones at a time – something Moto is calling a Wireless Sound System. It also bears a fingerprint sensor on the home button. Other features include Moto Experiences, with gestures like a 3-finger swipe for screenshots, as well as a built-in password manager called Moto Key. There are also features like one-button navigation, Moto Display, and Moto Voice. The rear camera is also capable of landmark/ object recognition, and can also scan barcodes and QR codes. When scanning business cards, the smartphone automatically adds the contact.